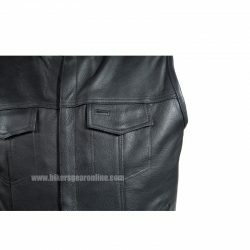 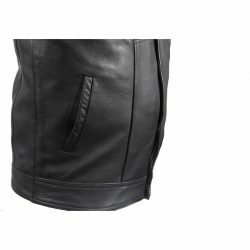 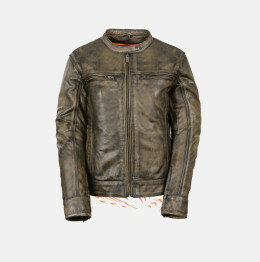 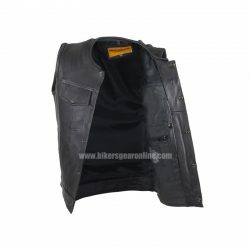 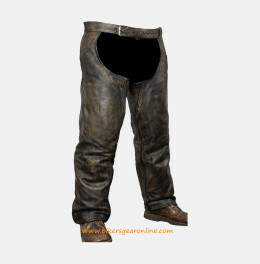 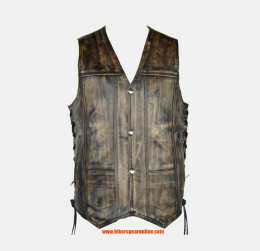 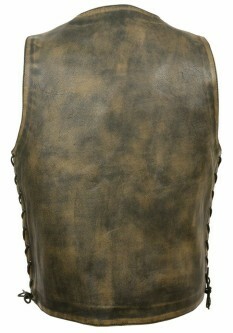 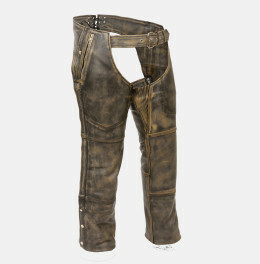 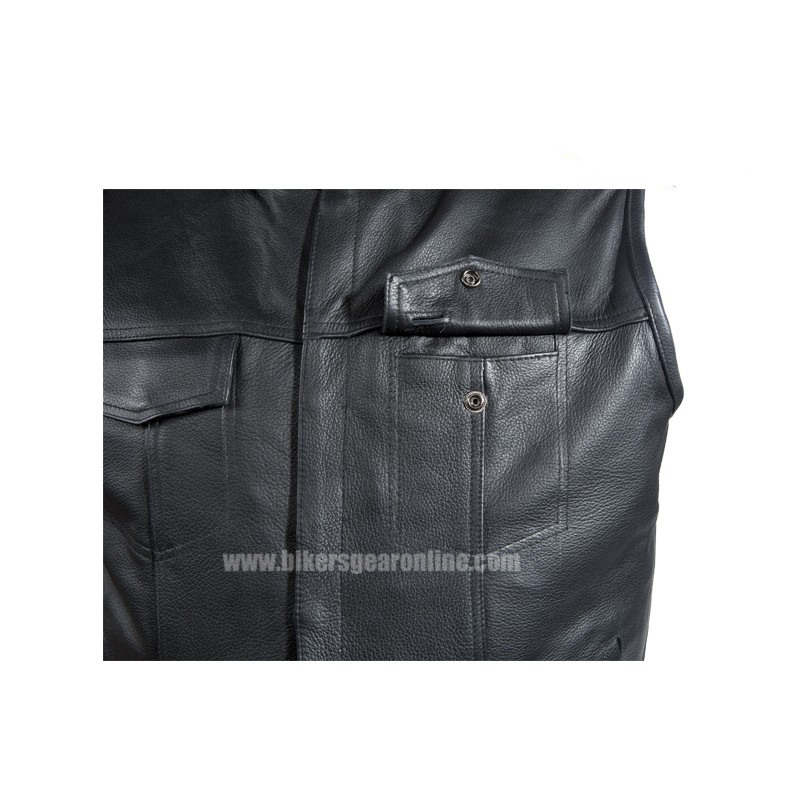 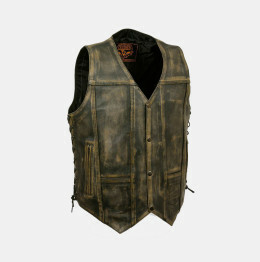 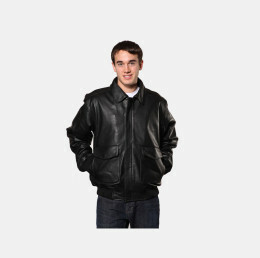 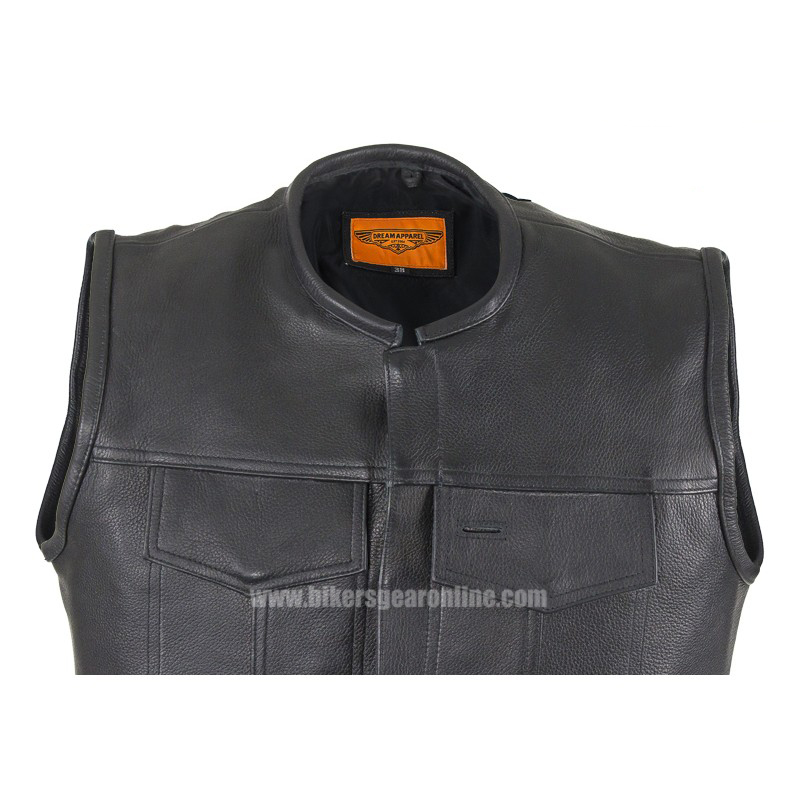 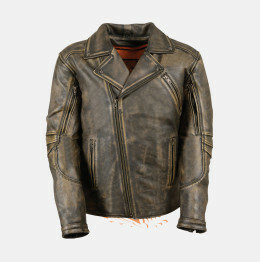 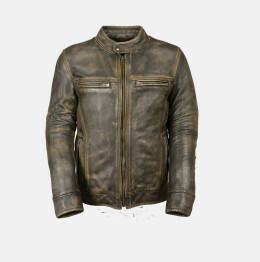 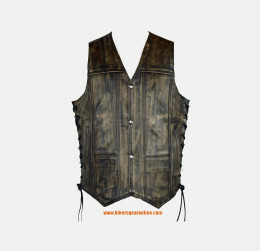 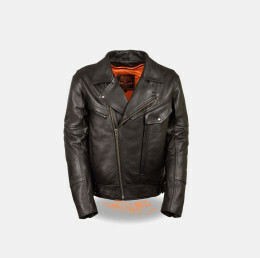 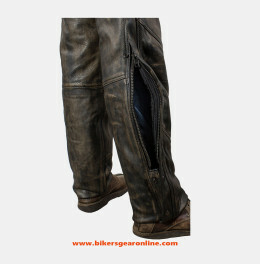 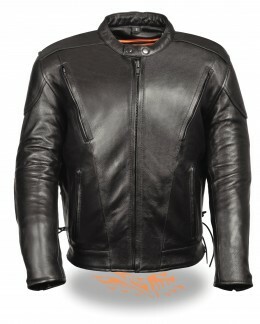 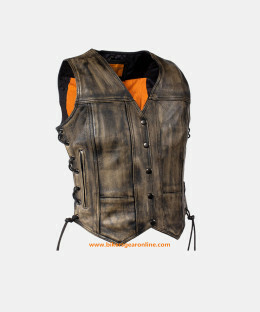 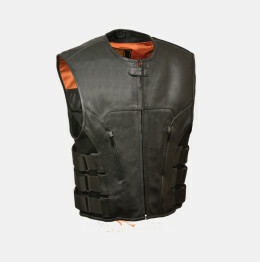 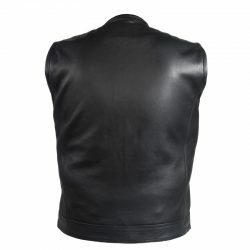 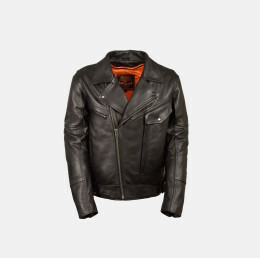 Set yourself apart in the warm earth-tones of this gorgeous black motorcycle vest by Bikers gear online. 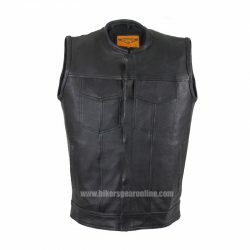 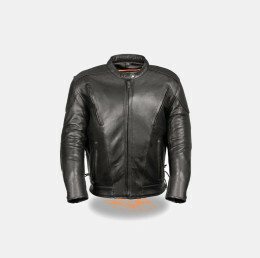 Designed for the rider that values personal protection, our vest comes with button snaps over a zippered front closure, a racing style collar with button snaps, and a soft inner lining to keep you comfortable on the road. 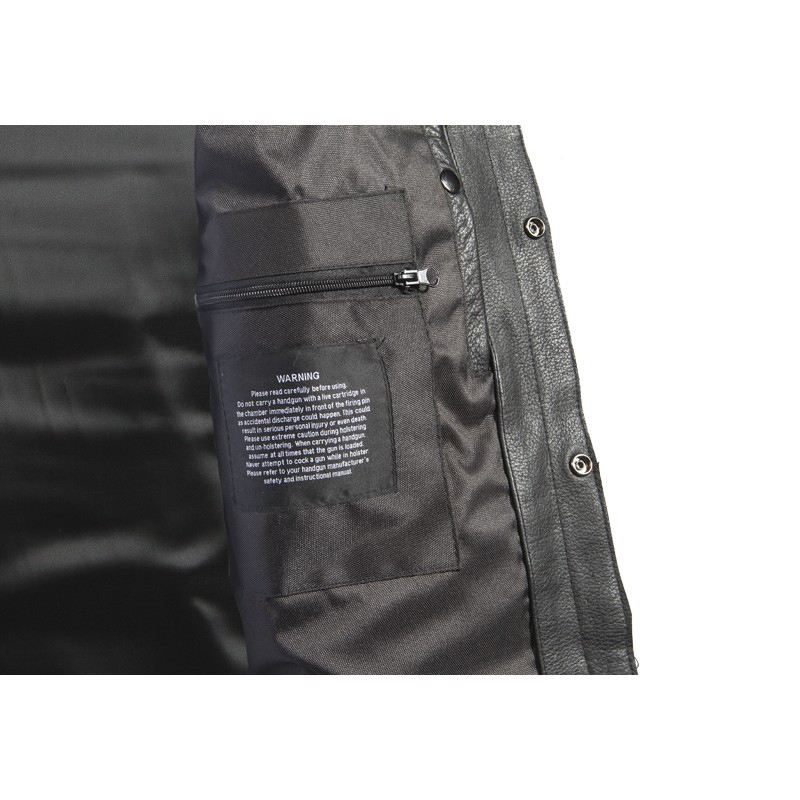 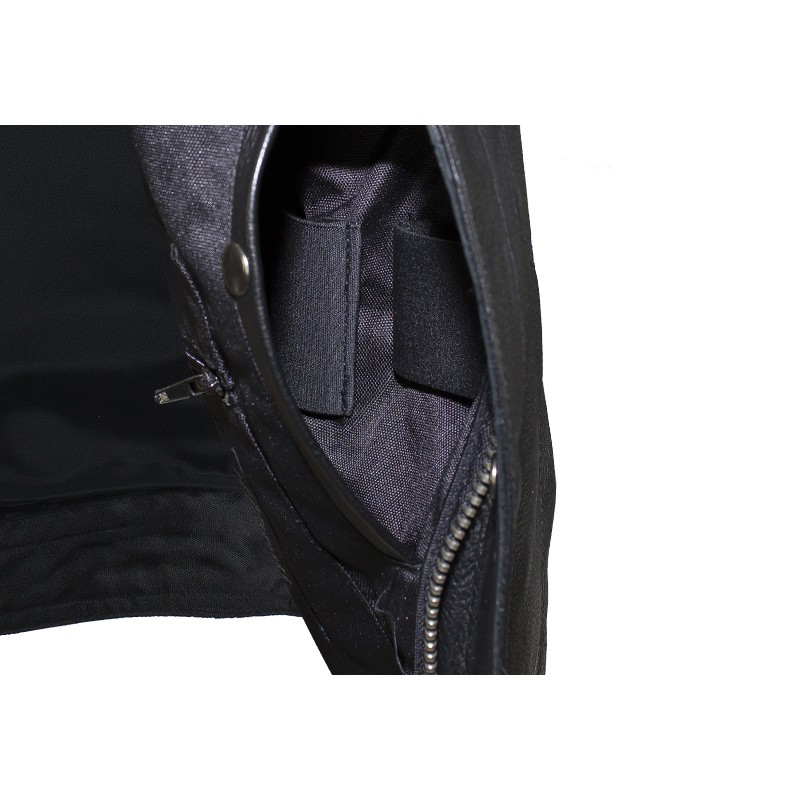 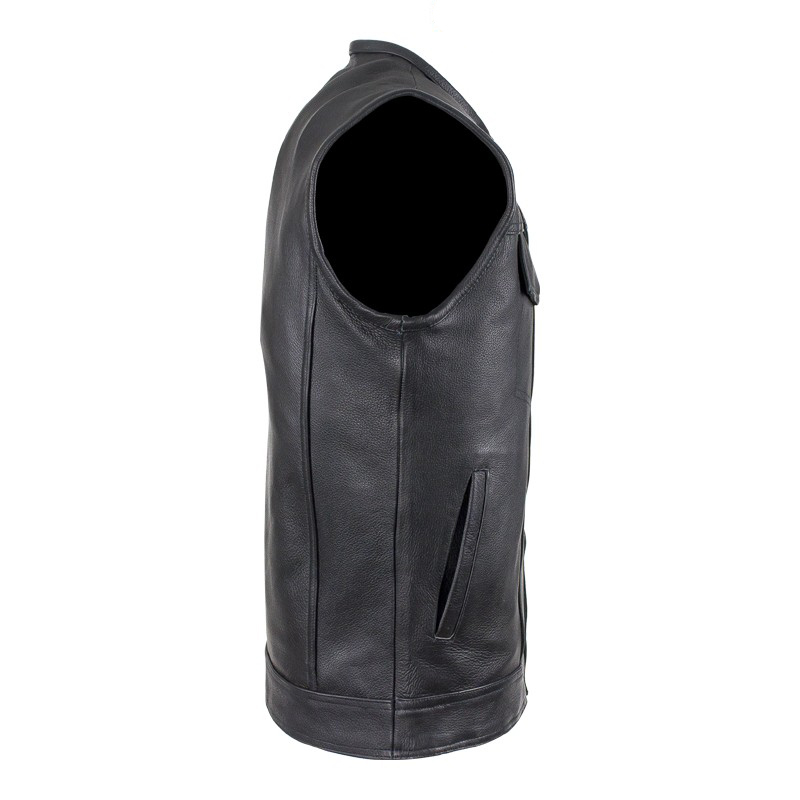 Two deep concealed gun pockets, a slip pocket, and a zippered pocket inside keep you safe and secure. Two slip pockets outside provide plenty of room for anything else you’d care to bring. 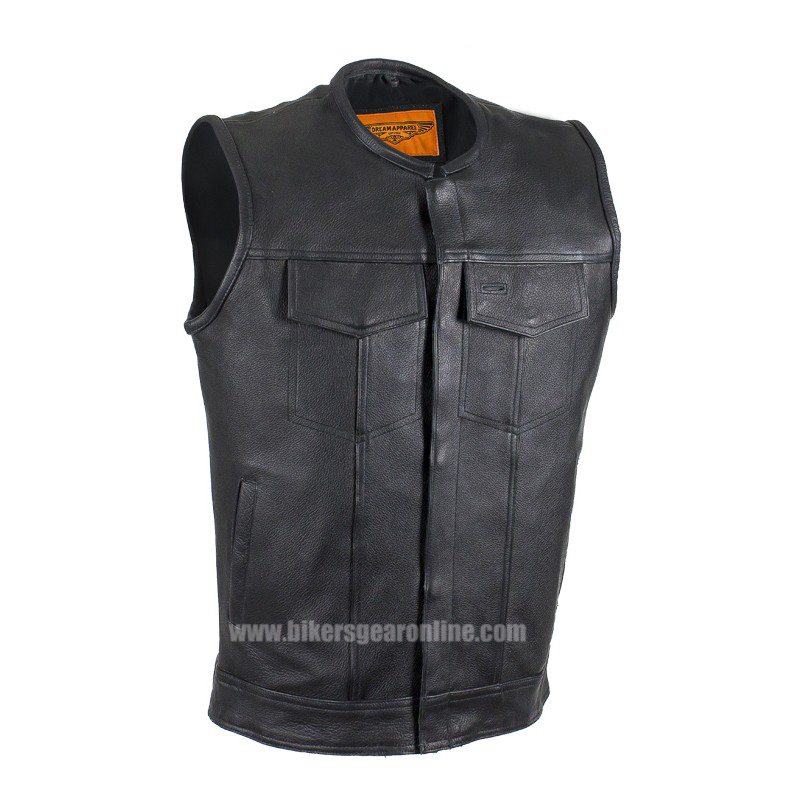 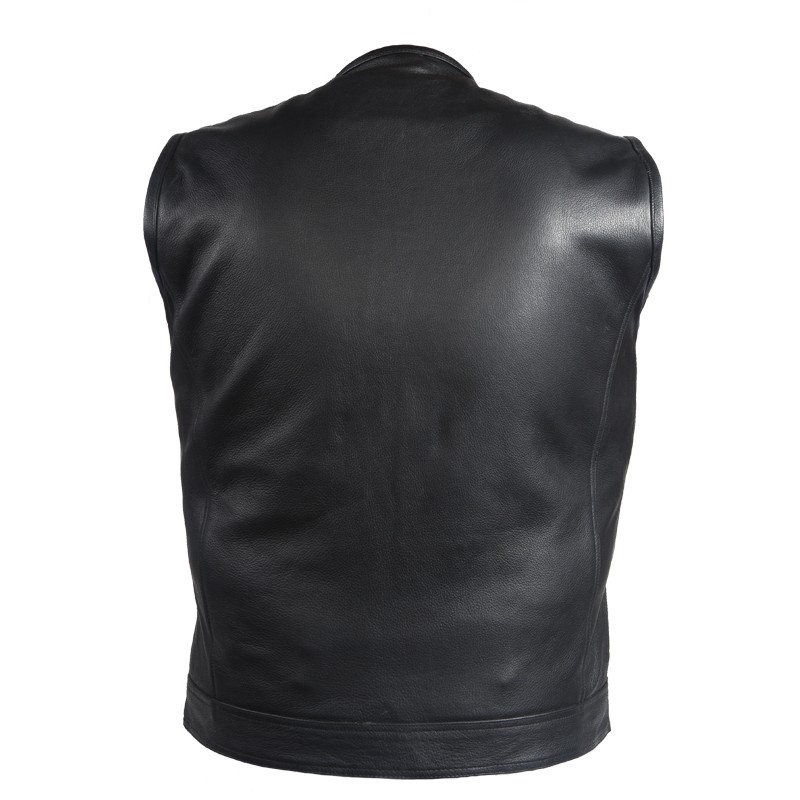 The full back panel allows you to proudly display your club’s colors and accomplishments making this vest a great choice for the rider that values protection and simplicity.